Hello, Judy Woodland here, and welcome to another Dies R Us inspirational blog post. 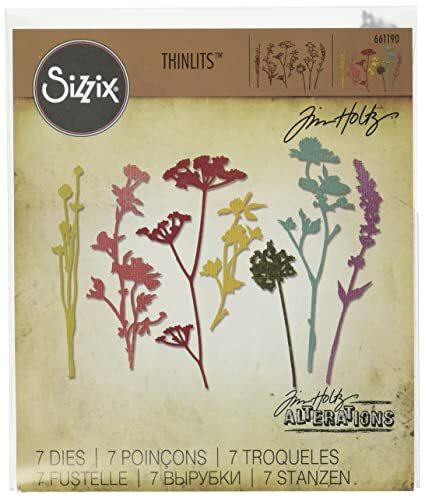 Today I have a card full of wild flowers from the Tim Holtz Wild Flowers Die Set. and a panel from the Sue Wilson Australian Collection Background Die Set. Next I used Tim Holtz Distress Inks to color in the flowers, and then I adhered them to the background panel. 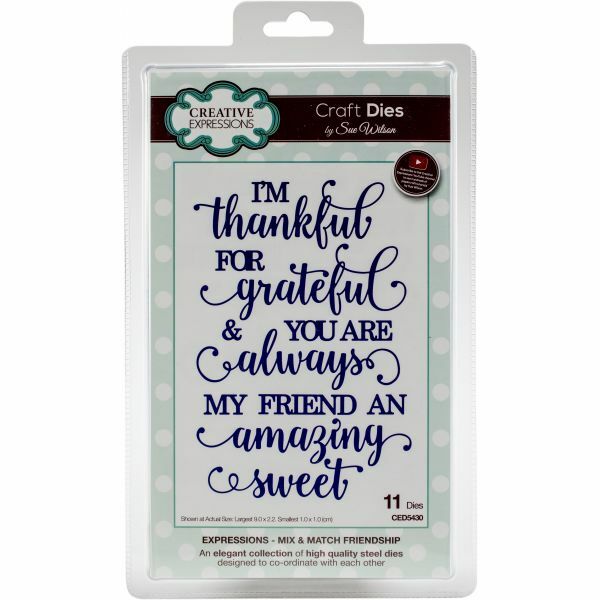 Then I cut out 5 of the "Thankful"pieces from the Sue Wilson Mix and Match Friendship Die Set and stacked them one on top of the other for dimension. Then it was time to put it together. I layered the white die cut panel on top of a blue piece of cardstock, attached it to the card base and added the greeting, a bow, and some pearls. Thanks for stopping by! I hope you like these awesome products as much as I do!! Take a look at some of the dies and other things offered at Dies R Us and see what catches your fancy! I love your card! I have the Wildflower set of dies and have never thought to use color on them; always solid for silhouette. Beautiful colors. (Wish I had the background die.) Thanks so much for the great idea. I'll be CASING this one for sure. BEAUTIFUL! Your water colored posies are gorgeous, such wonderful colors! The POP right off of that pretty background die cut too! Love the little ribbon bow, this makes for one lovely bouquet! Oh Judy this is SO PRETTY! I love your design and this flower bouquet is just lovely! That is one of my favorite background dies and I LOVE LOVE how you've popped up the sentiment! Perfect! Thanks for beautiful inspiration and instruction! I am really liking this beautiful card. Your watercoloring of the flowers is superb. Thanks for the step by step how to, and for listing the products you used. Lovely card! I don't usually see those wildflowers in colors, and yours are wonderful.